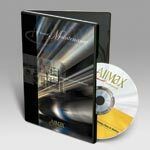 AllMax Software has released Antero v4.10, a secure, user-friendly maintenance data management software that will help eliminate unnecessary maintenance costs, increase productivity, and improve efficiencies. A new Work Order Request function enables users to submit a request for a specific task or piece of equipment. The work order request can include the date, time, priority, equipment, description, who requested the work order, and other relative information. It will also show any changes to the status, notes that may have been added to the request, and managing users can read, close, or associate a request with an open work order.